A plate-like growth that may have some coloration at the tips, usually pale blue, lime-green or brown. Most of the body is a grayish-tan. Requires medium light and moderate water movement. In nature it usually stays on upper reef slopes and lagoons. 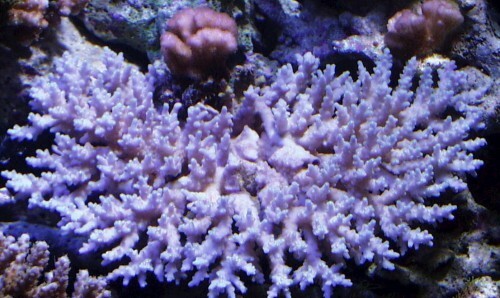 This is a peaceful coral that should not be kept with fish or invertebrates that may nip it, nor with any other corals that may sting it with their long sweeping tentacles. It needs stable water parameters to thrive, and adiquate calcium to grow.